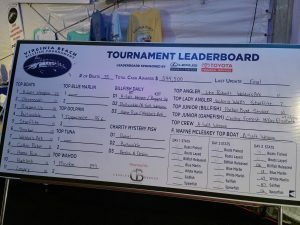 annual Virginia Beach BillfishTournament, August 24-27, sitting at the Rudee Inlet docks for their required lay day during the final day of fishing to see if the team’s lead was good enough for victory. As it turned out the 23 billfish released by A-SALT WEAPON and crew the first two days were more than enough to comfortably capture the win in the prestigious Virginia Beach Tournament. A-SALT WEAPON, captained by Dennis Endee with mates Brian King and Rosi Morales working the cockpit, finished with 1,610 points and banked $244,500 for the win capturing first place in four of six entry levels. Team anglers were Tom Bell with owners Greg Russell, and Andy Purgason. 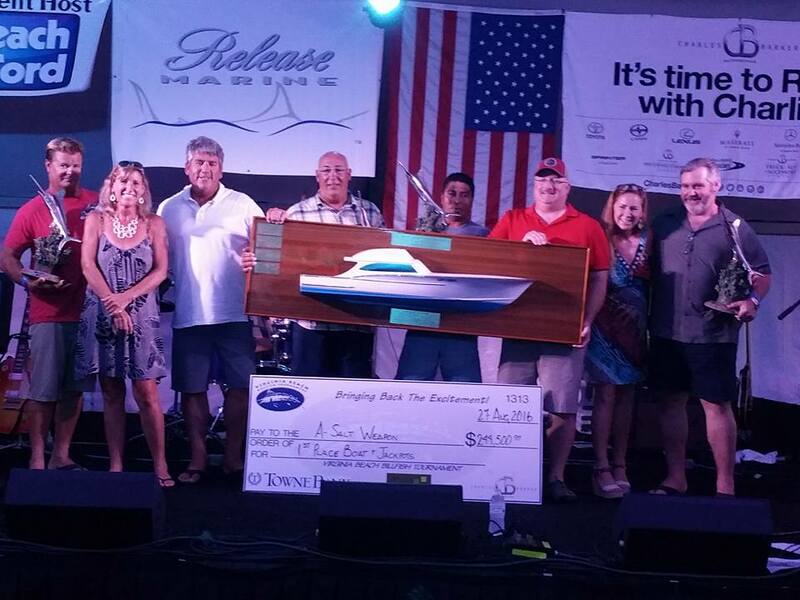 The team was honored with the prestigious F. Wayne Mcleskey top boat award in honor of the late Wayne Mcleskey whom with his love and support of the tournament from its creation has allowed the event to be held on his property south of the Rudee Inlet along with gifts and contributions. In addition, Captain Dennis and mates received the top crew award! 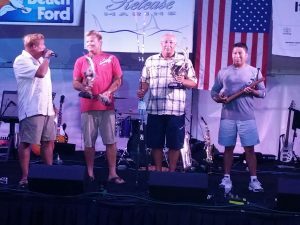 Captain Dennis Endee received a Top Captain Trophy as well as Costa del Mar Sunglasses, a Costa del Mar Billfish Foundation tagging stick and a custom rod from Bish op Tackle. Mates Brian King and Rosi Morales shared the Top Mate honors. Rosi received this year’s Joel Webb Top Mate Award and Brian received a Trophy as well as the Bishop’s Tackle custom rod and Costa del Mar sunglasses. 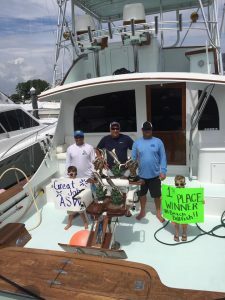 Paul Mann Custom Boats sends a huge shout out and congratulation to the owners and team aboard A-SALT WEAPON during this great Virginia Beach competition! The Paul Mann fleet has had a beneficial season and is very proud to continue winning during the 2016 tournament season!